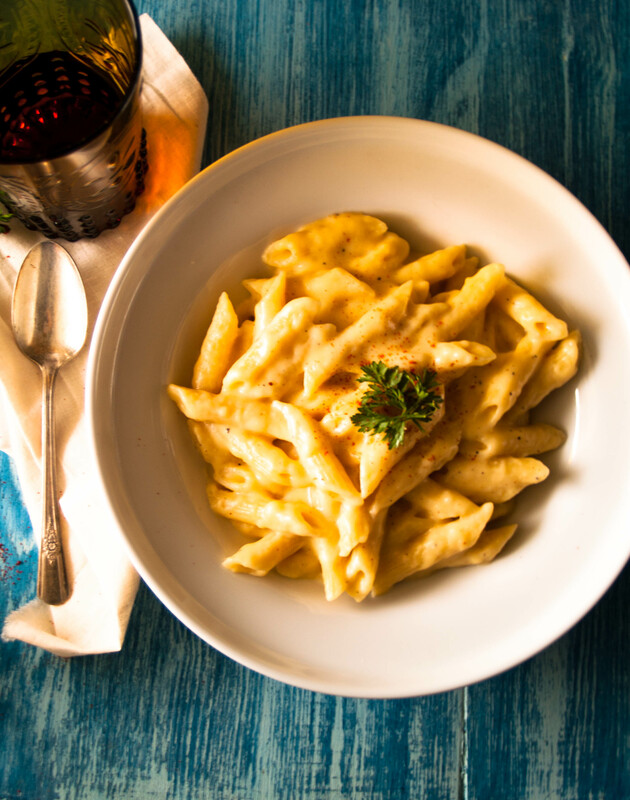 There is something exceptionally comforting about a warm bowl of creamy, cheesy pasta. 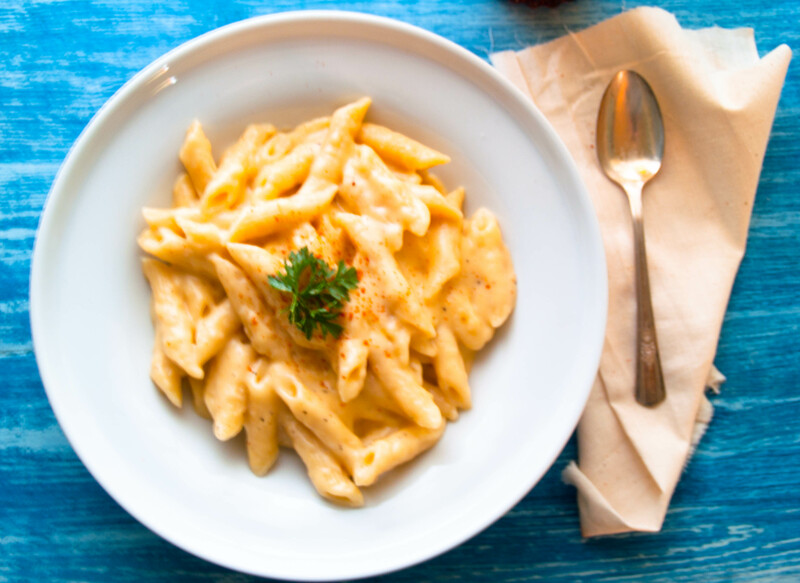 Macaroni and cheese has always been one of my favorite dishes. My palette was distinguished enough as a child to make sure that my mom skipped the powder cheese pack for the velvety shells and cheese. Throughout the years, my aunts made macaroni and cheese every Thanksgiving and Christmas. Half of my plate would be filled with turkey, brisket, dressing and a roll. The other half was purely a superfluous amount of creamy macaroni and cheese. I would trot my plate proudly to the table as my family watched me devour the pasta in awe. My aunts decorated the top with American cheese slices, but I have graduated this dish with the addition of cheddar cheese and a Parmesan crispy topping. I sometimes make this plate with shell pasta instead of penne as a nod to my childhood memories. Note: Make sure that the pasta water is seasoned like the ocean! If not, you will lose out on a lot of flavor! Cook pasta with lots of salt until al dente. Reserve and keep warm with 1 cup of pasta water reserved as well. Set aside. In a medium saucepan on medium-low heat, melt butter and add flour to pan. Cook for 1 minute to cook out the “flour” taste. Add milk and whisk out any lumps. The mixture will begin to thicken after a few minutes. Season with salt, pepper and cayenne. The sauce should be taken off the heat whenever the sauce can coat the back of a spoon. Take off heat and whisk in the cheese. Add the pasta with a little bit of pasta water. Mix to combine. 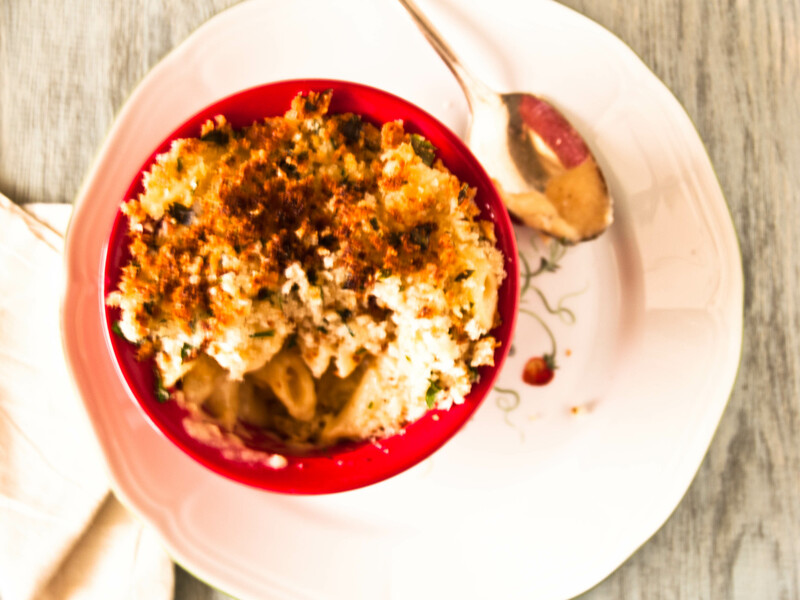 The pasta can be enjoyed as is or you can add a crunchy topping for added texture and flavor. Mix ¼ cup of panko, 1 Tbs. chopped parsley, 2 Tbs. of shredded Parmesan cheese, 1 Tbs. of butter and seasoning together in a bowl. Top 4 individual ramekins filled with pasta with topping and broil for a few minutes until brown.